Motorola has been getting strong in the Indian smartphone market for a while now, and they are almost set to launch the Moto G 3rd Gen soon, depending upon which we expected a price cut on the Moto G 2nd Gen, but Motorola has made a price cut once again on Moto E, the budget phone from Motorola and the price cut has been made upto Rs. 1000 on both 3G and 4G variants. Now, the 3G variant is priced at Rs. 5,999 and the 4G variant of Moto E costs just Rs. 6,999. 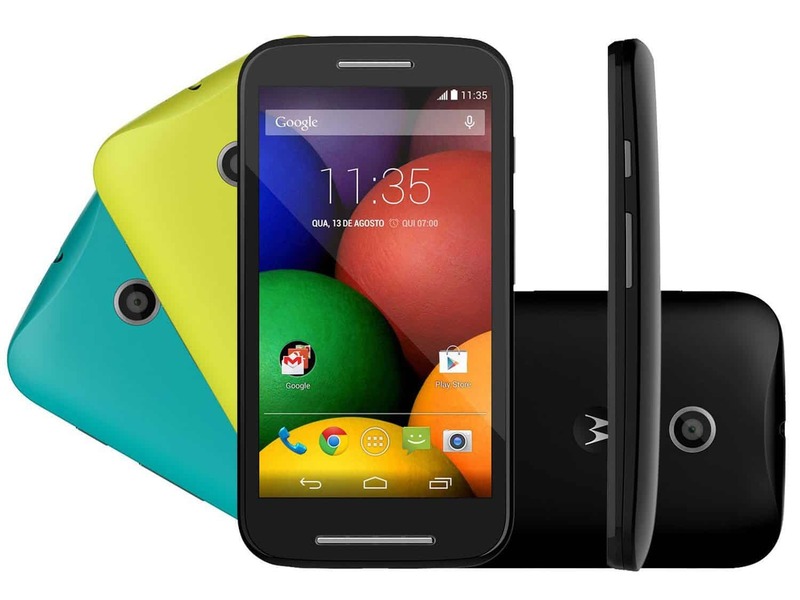 Motorola launched the Moto E in India in May last year, and in this short span the handset has got a lot of popularity. The phone has a typical Moto design and talking about the features, it has a 4.3-inch qHD display (960×540 pixels) with a pixel density of 256ppi and is protected by Corning Gorilla Glass. The phone is powered by a 1.2GHz dual-core Snapdragon 200 processor coupled with 1GB of RAM, and 4GB of internal storage with support for microSD card. It sports a 5-megapixel rear camera, but unfortunately, the rear camera is a fixed focus cam and the handset lacks a front camera for video calling. The dual-SIM capable handset supports 3G, Wi-Fi, and packs in 1,980mAh battery. In the last days of January, Moto E got Android 5.0 Lollipop upgrade which brought improved notification, revamped user interface with Material Design and advanced security features. The price cut indicates a Moto E successor, which Motorola may be planning now as they did the same thing when they came up with the new 2nd Gen smartphones from the Moto X and Moto G line up and even the Moto G 3rd Gen. But, undoubtedly, this price cut is going to help Moto E compete against its rivals like Xiaomi and Lenovo. You can buy both from the official Motorola retailer in India, Flipkart.